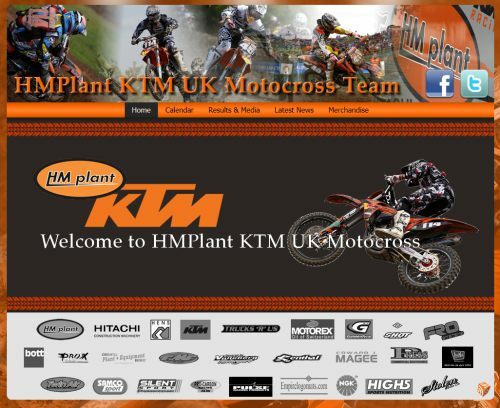 We’ve been providing website solutions to the HM Plant KTM Motocross team for many years now and have now completed the latest site to promote the team going forward into their 2012 season. The team compete internationally around the world including venues in Europe and the Americas so need a dynamic and fresh website to provide information about their riders to fans worldwide. The new website includes the facility to buy merchandise online, view video clips and browse a huge online photo archive. HM Plant KTM are also making use of Social Media with our help.